As I write this, you have not joined our happy family yet. I do not know if you are a boy or a girl. brown hair with green eyes. Heartfelt congratulations to my sister and brother-in-law on the arrival of their son last Tuesday. They successfully kept the gender a secret, which made it slightly difficult to plan a knitting project in advance. One thing was certain, though: this kid would have baseball and ice hockey in its DNA. I wanted to make a plush toy for them, and found this seal pattern on etsy. 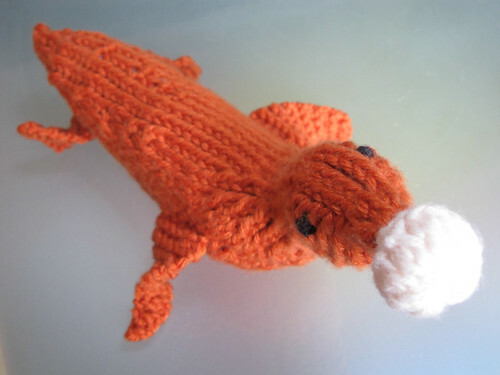 I had some orange yarn (which my sister had actually sent over xmas to encourage me to crochet a goldfish...) which seemed fitting for the Giants' mascot, Lou Seal. 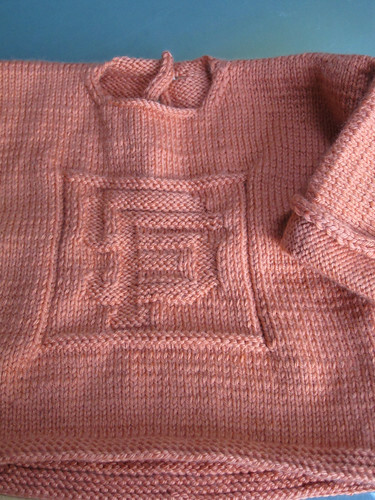 The finishing touch was a pair of Garter Stitch Booties from the same book. The photos don't do the yarn - or dare I say, the creations? - justice, but the real star is my nephew. I've seen him on iChat but I can't wait to meet the little man in July. 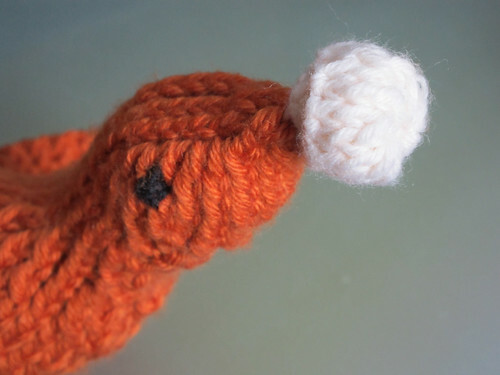 By the way, we love the secret knitting project! 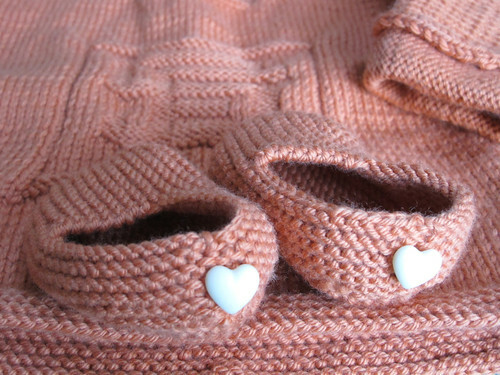 I like it too and can't wait to be big enough to play with Lou and to wear the sweater and booties. Thank you, Aunt B!